Before visiting, when I asked people what they knew about Henley-on-Thames the overriding word used to describe the town was “posh”. This assumption must be based on seeing images of the Henley Royal Regatta each summer. Straw boaters and striped blazers are de rigeur for the teams involved in this annual sporting event but you’ll be pleased to know the fashion is mostly unseen for the rest of the year. At other times this 12th century South Oxfordshire town is less crowded so great for a riverside break. 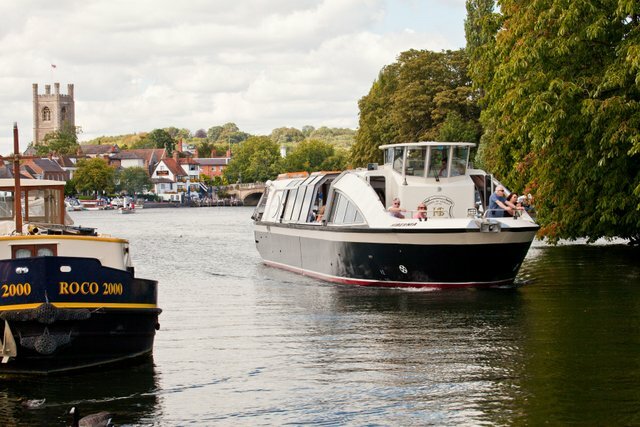 Shopping is a popular pastime and there are Thames boat trips available. 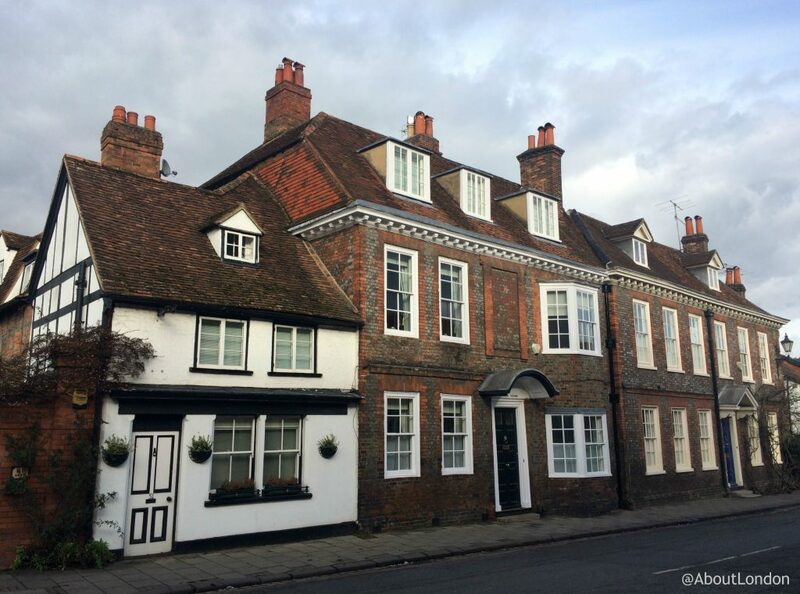 A stroll around Henley means you can see 300 buildings within the town designated ‘of special architectural or historical interest’. There are many Georgian frontages covering older buildings making Henley a quintessential English market town. 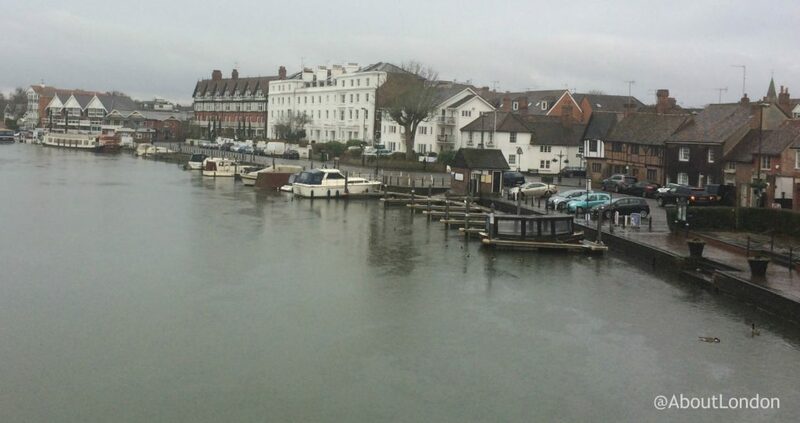 Henley is on the bank of the River Thames to the west of London. It’s within The Chilterns – an official ‘Area of Outstanding Natural Beauty’ that I’m discovering is worth exploring more. 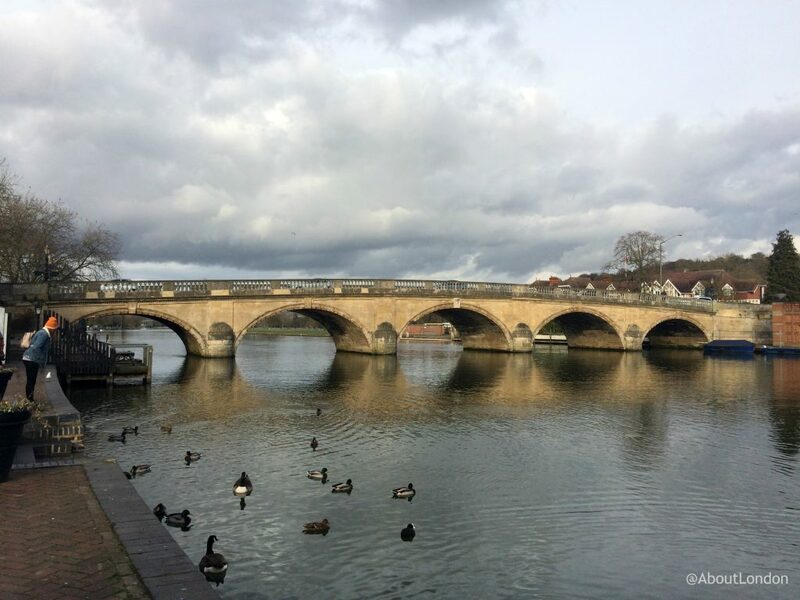 As Henley is so close to London you could easily come for a day trip, or stay longer and see more of the beautiful countryside outside of the town. 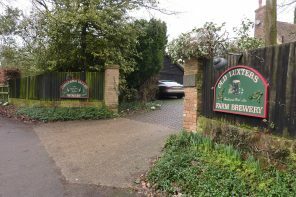 When I visited Henley I decided I wanted to see more of The Chilterns so I stayed at the Chiltern Valley Winery and Brewery Farmhouse B&B. I also had a tour of the winery and brewery too. 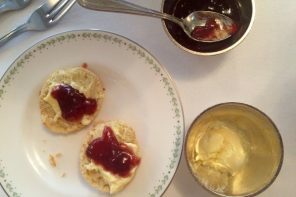 And no trip to an affluent region would be complete without trying my favourite meal of the day so I had afternoon tea at Danesfield House Hotel. 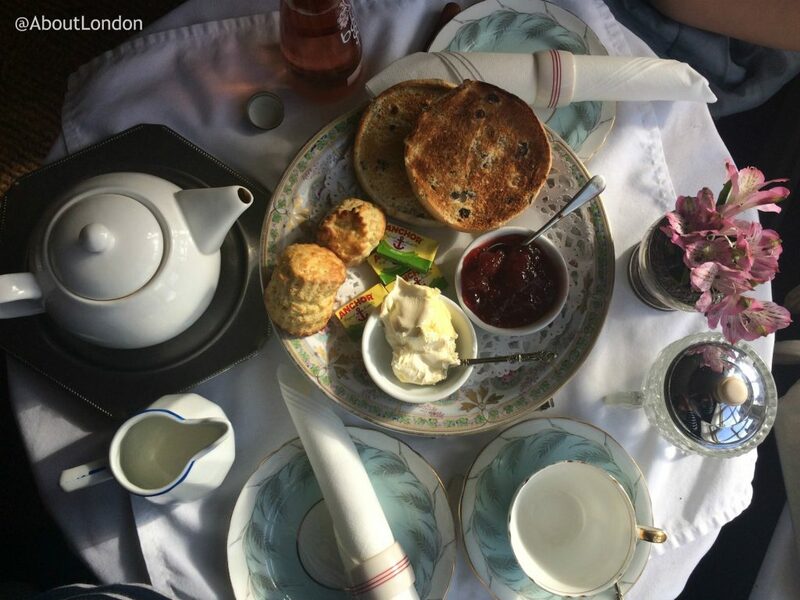 At just an hour on the train from London Paddington (via Twyford) you can breakfast in London and still spend a full day in Henley. Toto, we’re not in Slough any more! On the train, I found the views became much more ‘country-like’ after Maidenhead. And the standard of railway-side housing improved dramatically after we changed trains at Twyford. Just before reaching Henley-on-Thames station we saw the Black Bears stables and polo team which reminded us that the ‘posh’ moniker wasn’t unfounded. While this downloadable street map makes Henley look quite large, the town centre is only a small section of the map. 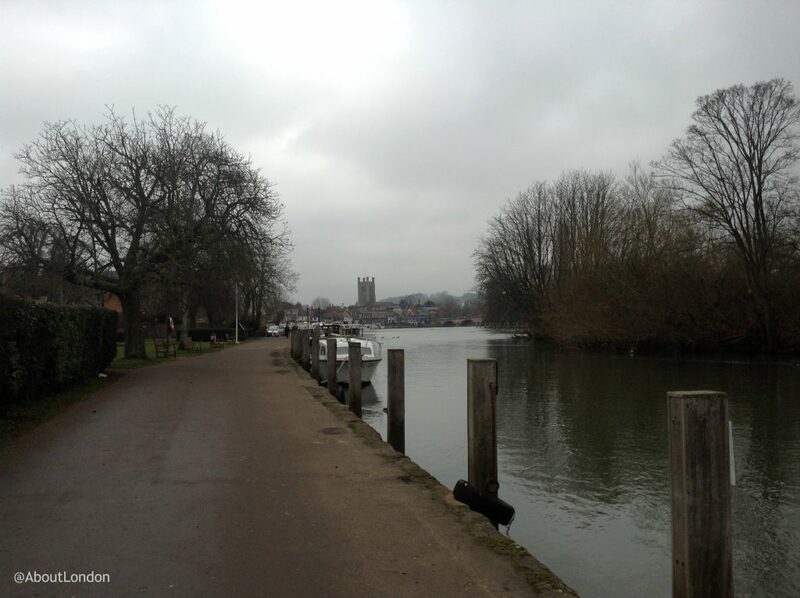 From Henley railway station, it’s a 5-10 minute walk to the River and Rowing Museum, and that’s the most ‘on the edge of town’ place I’ll be recommending. 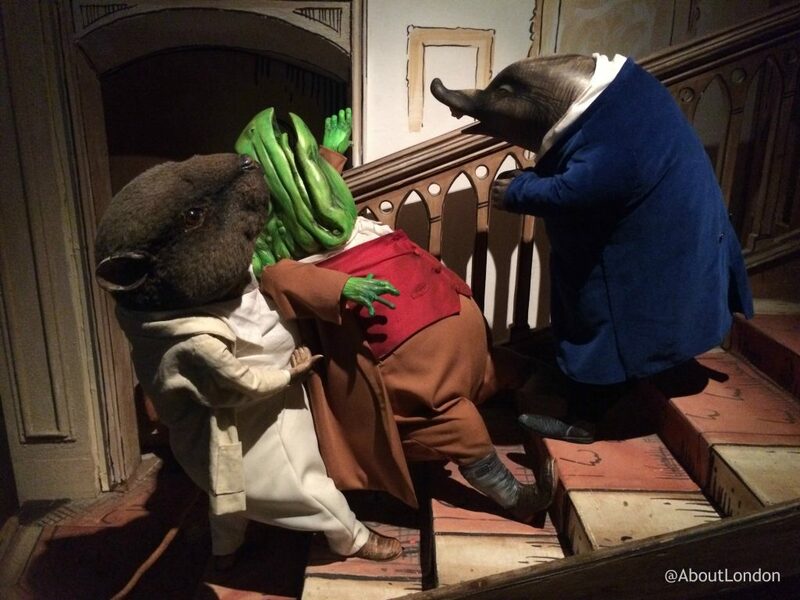 This modern museum is popular with families during the school holidays, and probably throughout the year too, due to the permanent Wind in the Willows gallery. 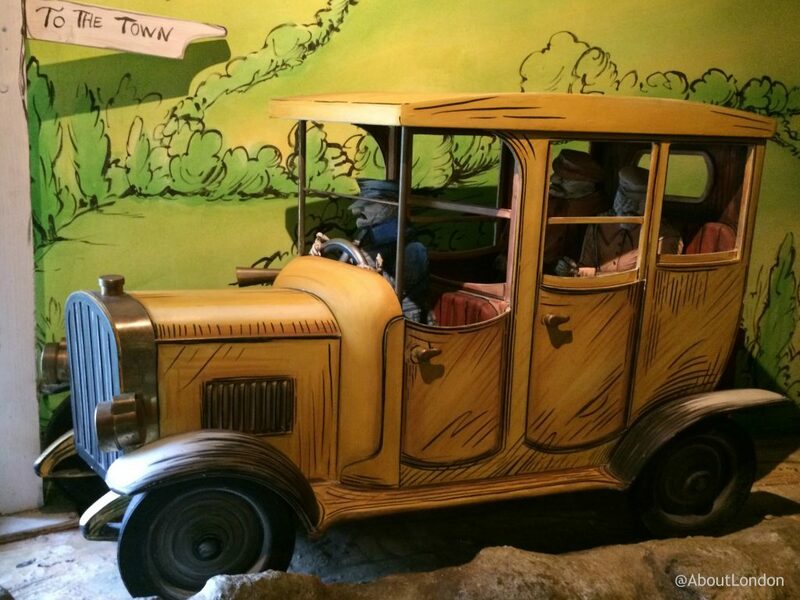 Admission tickets are valid for a year so you have every excuse to come back again. 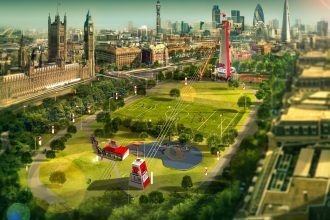 You can see Olympics exhibits, the first ever boat used to win the Oxford Cambridge boat race, try rowing machines and even discover blazer history. The Wild Fork Cafe, within the museum, has table service (yes, a museum cafe where you don’t have to queue!) There’s also free wifi in the cafe (but, sadly, not inside the museum). I’d recommend stopping for tea when you arrive as the cafe gets busy at lunchtime. You’ll need 1-2 hours for your visit. From the museum, it’s easy to reach the riverside path and you can promenade along the waterfront towards the town centre. Ask to be seated at a table by the windows at this lovely cafe to enjoy the outlook of The Thames. The Chocolate Cafe has table service but you do have to queue to pay. As you would hope and expect, there are a fine selection of chocolate treats on offer but also hot food and salads too. The cafe does have an extreme buggy friendliness so you may battle to reach the counter when leaving but it’s worth it for the views. Close by is the 18th century stone bridge that joins Oxfordshire to Berkshire. It’s worth walking onto the bridge to enjoy the views of the river. From here you could consider a choice of trails around the town (and there are plenty of options!) There’s The Architecture Trail, the ‘Undeniably Unique’ suggestions, The Environmental Trail, the Midsomer Murders locations trail or even the Henley Ale Trail. I’d suggest strolling along the Riverside and turning left onto New Street to see more interesting architecture. 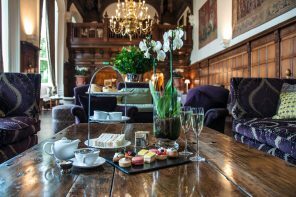 Consider dinner plans at Hotel du Vin and stop at The Kenton Theatre to see what’s on, in case you’d like to stay longer. 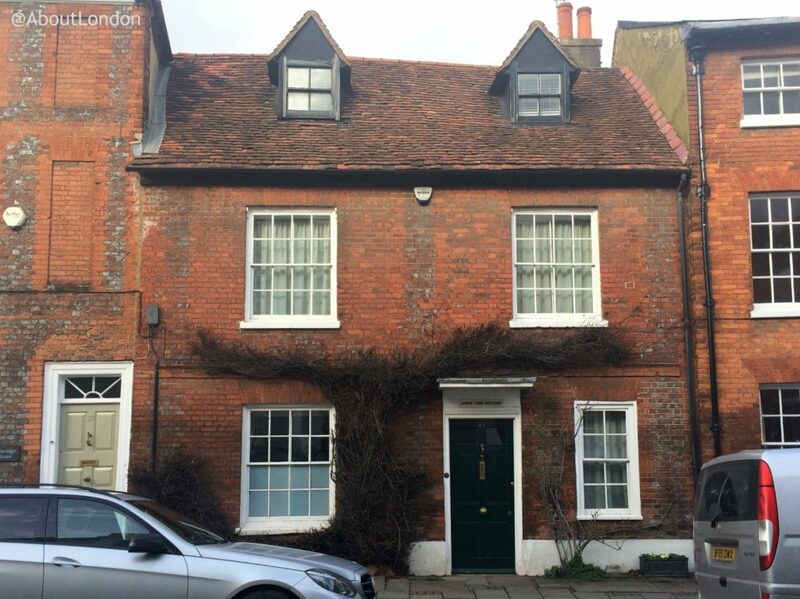 Left onto Bell Street and you might want to stop for a drink at the Old Bell pub as it’s the oldest building in Henley, dating back to the 14th century. Head for the Town Hall as it has the Visitor Information Office, in case you have any questions. Close to the Town Hall you can access the Henley Free Wifi Zone so stop at a cafe if you need to check anything online. As this is a market town you can see the market here on Thursdays. Continue your stroll down Market Place and onto Hart Street. 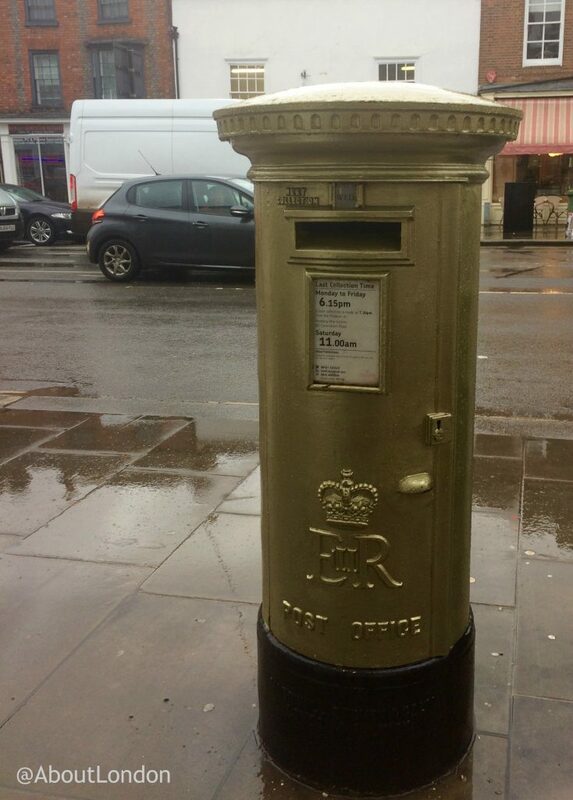 Look out for the gold postbox awarded to the town after the 2012 Olympics. And The Vintage Look is worth popping in to as it’s a small indoor antiques market. At the end of the street is St Mary’s Church where you can see Dusty Springfield’s grave memorial. Turn right onto the Thameside River Terrace, passing The Chocolate Cafe, and right again onto Friday Street to reach Duke Street. There a couple of places I wanted to point out here, plus it’s got a fine selection of decent charity shops for some bargain retail therapy. 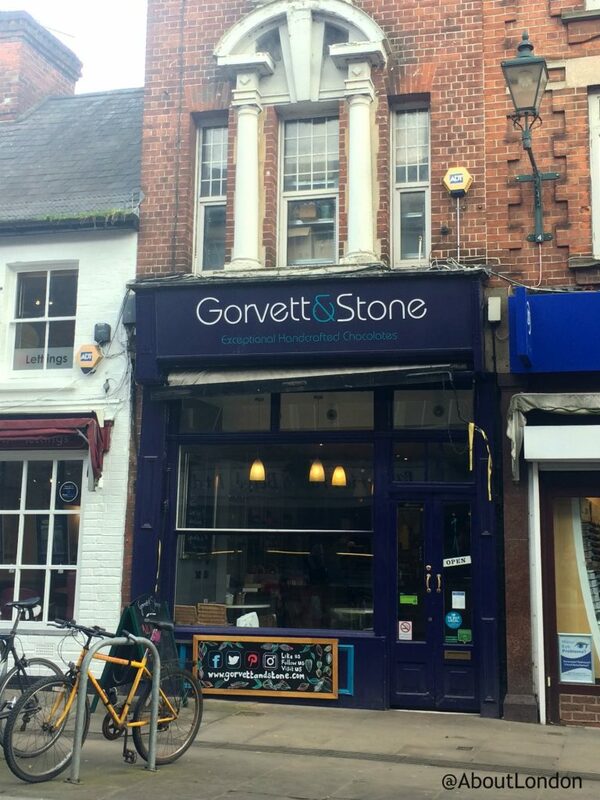 At no.21 there’s Gorvette and Stone chocolates, a small shop in a tall building. 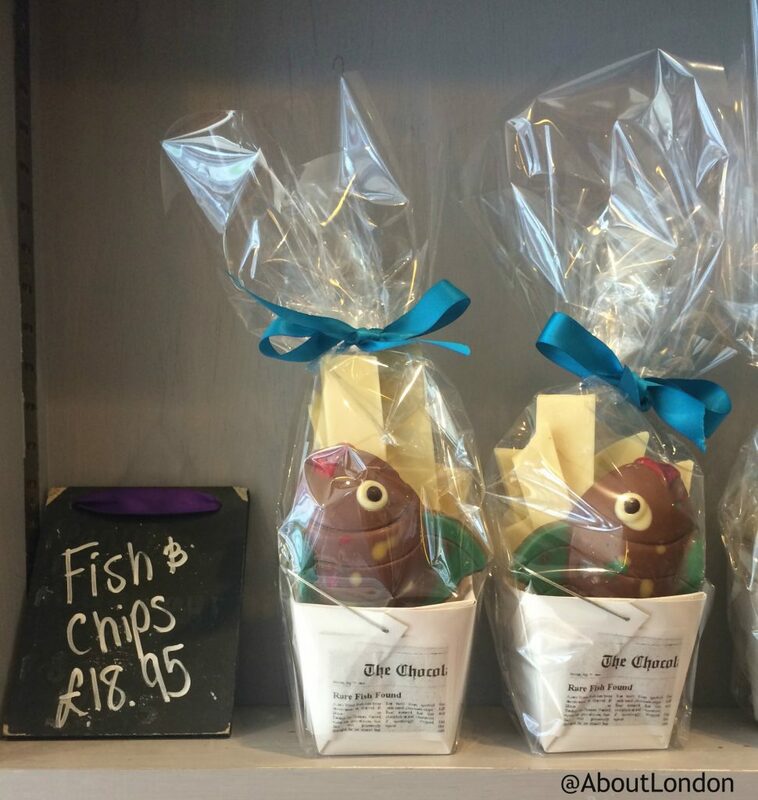 It’s cocoa-based delights are best as gifts and I was particularly taken by the chocolate fish and chips! After all this walking you’ve most definitely earned tea and cake so stop at no.1 Duke Street for the Upstairs Dowstairs Tea Room. I’d recommend sitting upstairs as it’s a pretty location, looking down on Duke Street. The tea room has dainty, vintage crockery on the table and old time music in the background. The Henley Free Wifi is available here so there’s no need to rush. As a tea addict, the biggest plus point that surprised me in Henley was that black decaf tea was available in so many cafes. As an online addict, the downside was the lack of wifi in most locations. Disclaimer: As is common in the travel industry, the writer was provided with complimentary travel and services for review purposes. While it has not influenced this review, AboutLondonLaura.com believes in full disclosure of all potential conflicts of interest.